Recently, US officials began talks in Moscow regarding Russia's violation of the 1987 Intermediate-Range Nuclear Forces (INF) Treaty. The agreement bans the testing or deployment of intermediate range cruise and ballistic missiles, those with a range between 500km and 5500 km. In its annual 2014 arms control Compliance Report, the Department of State noted that Russia had violated the pact when it deployed a ground-launched cruise missile, whose unique Iskandar system can fire both cruise and ballistic missiles and a system Russia plans to deploy to Crimea. This cruise missile is not a new development; it was first tested in 2007 and has been deployed in the banned ground-launched configuration since 2009. Nor is it Russia's only INF violation. 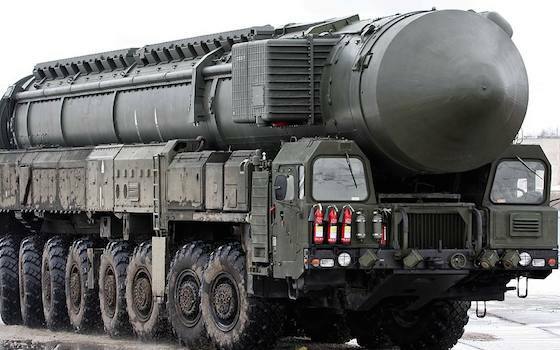 Moscow also has converted a single-warhead ICBM into a three-warhead intermediate-range ballistic missile, a violation missing from the 2014 Compliance Report. The latest breach is just the most recent of numerous examples of Moscow's arms treaty treachery. For decades, administrations of both parties have largely ignored Soviet and then Russian arms-accord violations. Treaties are supposed to reflect a commitment of both parties to shared objectives, and hence contain self-enforcing incentives for compliance. But they make little sense when one party seeks unilateral advantage through non-compliance, or geopolitical change causes the Treaty to be inconsistent with one party's security needs. In some cases, both forces are at work. The 1972 US-Soviet Anti-Ballistic Missile Treaty (ABM) is an illustration of the former. Soviet violations on a massive scale began before the ink was dry. The recent Russian violations of the INF illustrate the latter. Cheating becomes an important option as Russia's increasingly adversarial relationship with the United States, NATO, and recalcitrant former Soviet satellites prompts Moscow to think it needs intermediate-range nukes for its security. For Russia, it's a better option than invoking the "supreme national interest" clause, which permits withdrawal. The reason: as long as the pact is intact, Washington meekly complies and Moscow flexes its muscle. These circumstances raise fundamental questions for US diplomacy. Why are long-standing violations of arms control agreements so hard for the US to raise, engage, and resolve? Indeed, US knowledge of Soviet non-compliance failed to impede further agreements built on the same faulty assumptions, with the same incentives for Soviet noncompliance. The simplest explanation for the reluctance to confront Russia is the most plausible; over the life of the Treaty, compliance is less important than other US bilateral interests with Russia. That may explain a Senate Select Committee on Intelligence finding that former National Security Advisor and Secretary of State Henry Kissinger "wanted to avoid any written judgment to the effect that the Soviets have violated any of the SALT agreements." This approach produces the perverse result that the US becomes complicit with Russia in concealing or diminishing the significance of non-compliance. Both Bush administrations failed to act on Russian violations of the 1972 Biological Weapons Convention; the Clinton administration chose to ignore or minimize the significant Russian violations of the 1972 ABM Treaty and limited Congressional access to information about the violations. The current practice reflected in the administration's response to INF violations includes delayed acknowledgement of the violations and an absence of remedies. In the future, Washington may not even know of violations. In a study earlier this year, the Defense Science Board noted significant gaps in our capacity to monitor arms control compliance and concluded that the "nation's global nuclear monitoring gaps should be a national priority." Ratifying arms control treaties of little efficacy raises both constitutional and policy issues. The practice undermines the constitutional ratification process because Senate ratification includes a core assumption that the parties will observe provisions of the agreement or face consequences for non-compliance. Ignoring violations or making agreements we cannot monitor erodes Senate confidence in any Presidential assurance that such accords enhance national security. Second, the expectation of compliance with Treaties becomes the basis upon which many nations build their foreign and defense policies. The Treaty-based expectation that Russia would not deploy INF systems contributed to the decision of its neighbors not to produce such systems as a deterrent. But now intermediate range cruise and ballistic missiles pose a threat to the nations along the entire Russian littoral. In a recently declassified 1985 National Security Decision Directive (202) on "Soviet Non-Compliance with Arms Control Agreements," President Reagan said, "In a fundamental sense, all deliberate Soviet violations are equally important. As violations of legal obligations or political commitments, they cause grave concern regarding Soviet commitment to arms control." A half-century of experience with successive administrations confronting Moscow's non-compliance suggests that the Treaty-based approach to nuclear stability is fatally flawed. The danger is that arms control treaties with nations that do not or cannot be expected to share the treaties' objectives will ultimately contribute to nuclear instability. There are means of achieving nuclear stability between adversaries. But treaties characterized by asymmetric compliance are not among them. William Schneider, Jr. is a Senior Fellow at the Hudson Institute, formerly served as Chairman of the U.S. General Advisory Committee on Arms Control and Disarmament and as an Under Secretary of State. "The Lesson of Russia's Serial Treaty Violations"